The Blue headed Macaw has been classed as Vulnerable on the IUCN Red List of Species and they are currently threatened with extinction. The decreasing population is due to a combination of exploitation for the pet trade and loss of habitat through deforestation and increased human disturbance. Our Amazon Conservation project in Peru is actively involved in the research and protection of this species which are found in the area. Volunteers at the Amazon Conservation project travel to the river beach and monitor the clay lick before dawn each morning. 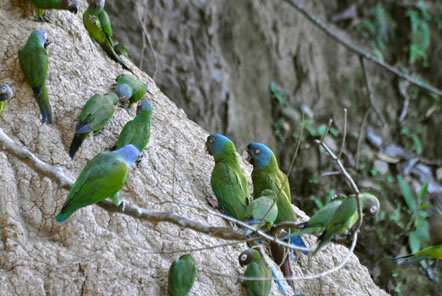 The clay lick is also known as the collpa and provides the parrots with salt in their diet. 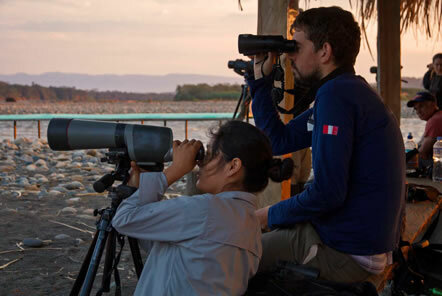 Volunteers and the local team of scientists record the number and activity of the Blue headed Macaws at the clay lick and take note any tourist impacts. 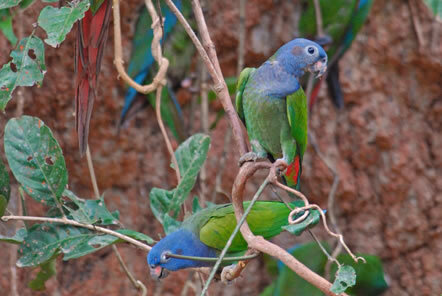 The project team have found that a decrease in the number of Blue headed Macaws using the clay lick over the last few years correlates with an increase in tourist numbers to the region. This has led to the project becoming more actively involved in promoting eco-tourist in the area to help mitigate the negative effects of the increased number of visitors to the region. The team of volunteers have built blinds each year and have developed information for tourists and guides about issues faced by this flagship species. Together these efforts should help to reduce disturbance to the macaws and allow ecotourism to make a positive contribution towards their conservation. Volunteers at the project will help support the centres conservation research and sustainable development projects. This may include research on large mammals, birds, butterflies, amphibians and reptiles as well as community bio-gardens and agroforestry projects.